Drusen - What Are They? There are two main types of drusen in the eye - optic nerve and macular - they are two very different conditions. Macular drusen can be one of the earliest symptoms of macular degeneration. What are they and what do they mean for your vision? They are simply small yellow or white deposits of lipid (a fatty compound)and calcium that build up in the Bruch's membrane of the eye. The Bruch's membrane is a layer of tissue underneath the retina. The other two important layers are the retinal pigment epithelium (RPE) and the the choroid layer, filled with blood vessels. The job of these three layers of tissue is to bring oxygen and nutrients to the rod and cone cells and remove built up waste products. When this transportation system gets clogged up and when there is any interference is this system - the rod and cone cells don't get the nourishment they need and can't get rid of the built up waste products. The cone and rod cells then begin to degenerate or die. My husband, who has a strong family history , went for his yearly eye exam this week, and we wanted to know if any of these little, yellow deposits had developed in the past year. Thankfully, not yet. Well, why is this important to know? And if I have some of these deposits should I be concerned? It may depend on what type you have. There are two main types - "hard" and "soft." vary in size and shape. 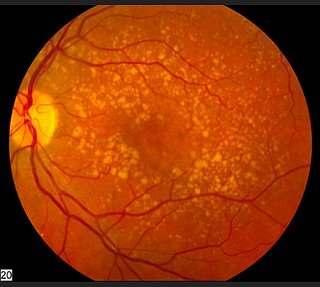 If you have a family history of macular degeneration it is especially important to know if you are forming these deposits. Once they have been detected in your eye exam, it is time to take note and make some changes in your diet and lifestyle. But don't wait for these symptoms . It is much easier to try to prevent macular degeneration than it is to try to reverse it. Several small drusen or a few medium-sized drusen is a sign of early AMD and many medium-sized drusen or one or more large drusen indicates intermediate AMD. Advanced AMD is noted by several medium size to large size drusen. According to James C. Folk, M.D., the author of Protect Your Sight: How to Save Your Vision in the Epidemic of Age-Related Macular Degeneration, "In general, eyes with more drusen have a worse prognosis than eyes with fewer drusen." The more drusen you have the greater chance you have of developing wet macular degneration - the more severe kind of AMD. The size of the drusen is an important prognostic factor for this retinal condition as well. Those with larger drusen are more apt to experience leaky blood vessels, or wet macular degeneration which causes more vision loss than dry macular degeneration. The detection of macular drusen can also identify those who are at risk for developing AMD. 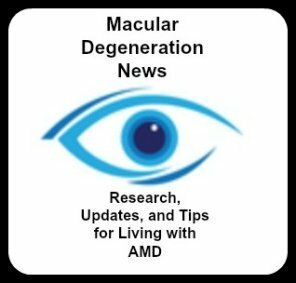 "Drusen within the macula are a significant risk factor for the development of AMD." Although these yellow spots don't cause macular degeneration, they can play a role in the progression of this eye disease. "Retinal cells overlying both soft and hard drusen exhibit structural and molecular abnormalities indicative of photoreceptor degeneration and Müller glial activation. These abnormalities resemble the degenerative effects common to many forms of retinal degeneration, but are confined to areas directly overlying drusen. This suggests that photoreceptor cell function is compromised as a consequence of drusen formation."